Researchers are giving us another reason to be excited about vegan-friendly fashion with a new alternative to leather that’s made from tea. Leather is everywhere – from tiny little tags on jeans to car seats — and yet, even though it supports cruelty to animals it gets much less negative attention compared to garments like fur. While some say it’s something that would otherwise be tossed by meat producers, it’s not simply a byproduct that’s preventing waste, but a profitable one that’s helping perpetuate animal agriculture, along with the slaughter of many other species besides cows who are killed just for their skins. 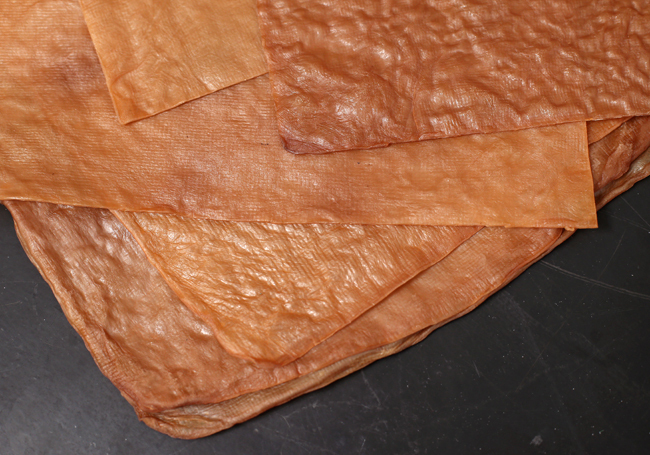 Now researchers at Iowa State University are working on developing a sustainable faux leather that’s both animal and environmentally friendly and it’s made from a byproduct of kombucha tea. This leather alternative is being grown in containers from a mixture of cellulose fibers from the tea, vinegar and sugar, along with a mixture of bacteria and yeast. The mixture produces a film on top that, once it’s harvested and dried, turns out to look a lot like leather. Ultimately researchers hope it can be used to make apparel, and other accessories from shoes to bags without the chemicals and waste that comes with the production of many other textiles. 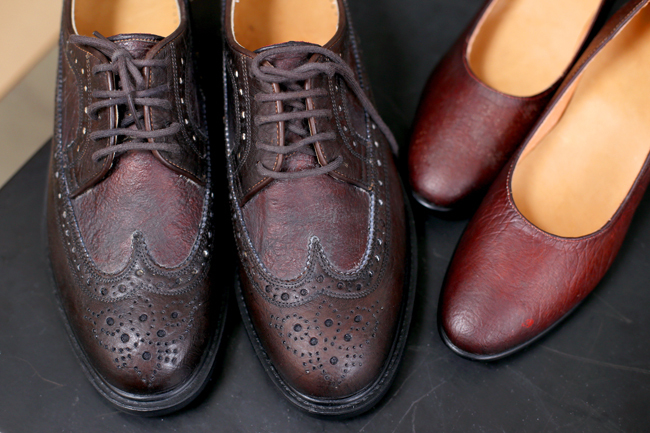 So far, they’ve successfully made two prototypes, including a vest and shoes. While there are already a number of animal-friendly alternatives to leather, this one is also 100 percent biodegradeable, which is a huge bonus that will hopefully keep more of our textiles from ending up in landfills. While there are still a couple of issues to work out in its development, like moisture making it less durable, and cold making it brittle, researchers are optimistic about its potential and are also working on how to speed up its growth to make mass production a possibility. In the meantime, they hope their work so far will help us think more about how we can promote and support a more eco-friendly fashion industry.